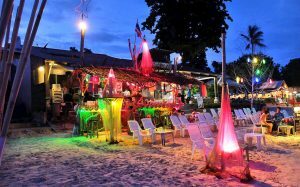 Retiring in Samui is about slowing down and smelling the tropical trade winds. It’s taking tremendous joy in living your retirement years in one of the most beautiful places on earth. Spend the day exploring the best snorkeling sites and coral reefs amongst the nearby tropical islands. The Koh Samui archipelago has more than 60 islands to discover and many of them are uninhabited. Other relaxing activities include a sedate horse ride along the beach, or a date with your golf clubs on some of the first-class golf courses around the island.The international standard Santiburi Country club is of an international standard with an 18 hole course set in the hills behind Mae Nam Beach. The fertile sultry jungles found inland on Samui can be explored on foot or by bicycle, or follow the coast road that runs right around the island, it’s the perfect way to get a firsthand look at the difference between the southern part of the island inhabited by locals and the busier tourist areas in the north. If you wake up with energy to burn you can always try your skills at the shooting range, or go-karting and if you really feel the need to get your blood racing then bungee jumping is for you. 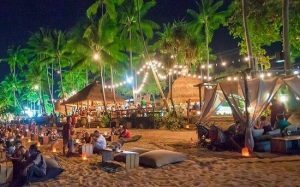 Only a small section of Samui offers busy bars and clubs at night, if you prefer peace and quiet then opt for a stroll along the beach or visit a quiet restaurant. 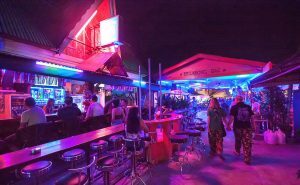 Of course if dancing and partying strikes your fancy then Chaweng’s Beach Road has everything you need.